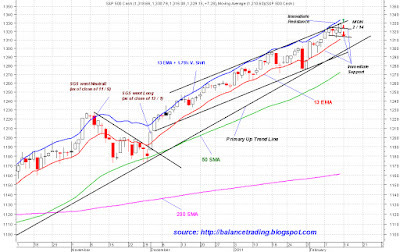 All major indices except for TRAN set new 52 week closing highs on Friday. SPX broke out of a 3 day bull flag formation with good volume and breath. That's just f*cking bullish no matter where you're coming from. 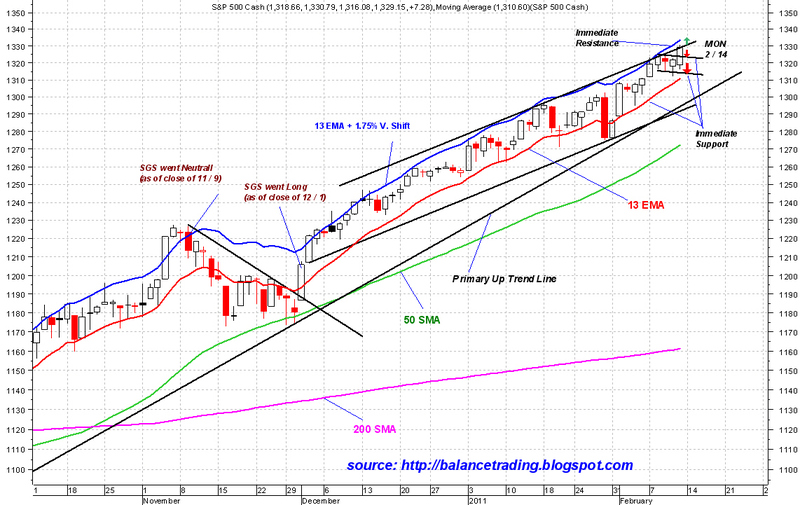 There is a chance that we see SPX coming back and back test the upper channel line of that 3 day down trending price channel (bull flag formation) around 1325 and even possibly go lower and test the lower channel line around 1315. Both dips are definitely opportunities to open new long positions. Also in my LT: CIEN, RVBD, SWKS, PCX, TSO, NOV, MEE , JBL, NFLX, and BIDU (equal $, first of 3 buys for Q1 2011). I'll post on FC Wall and Twitter as soon as I decide to buy.